With just three rounds to play, the name of the winner of the 2015 Thai Open in Pattaya remains a mystery. With none of the pacesetters winning their games in Thursday’s sixth round at Thailand’s premier tournament, an incredible 12 players are now tied for first place. 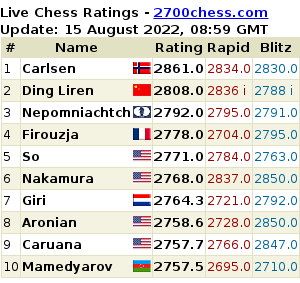 The leading group includes 10 Grandmasters and two International Masters, with top seed Wang Hao perhaps slight favourite to pull away from the pack. India is the best represented nation at the top with four of the 12 tournament leaders. 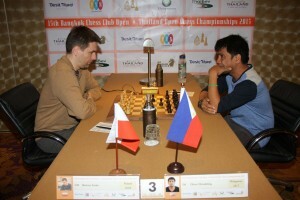 With the top two boards finishing as draws, the most significant result came on table three where Poland’s Bartosz Socko put a dent in the title hopes of Filipino Oliver Dimakiling, though Dimakiling remains a chance to secure a Grandmaster norm in this tournament. Nigel Short, the 49-year-old Englishman who looked out of contention after his fourth round loss to Oliver Barbosa, has reacted with two consecutive wins. 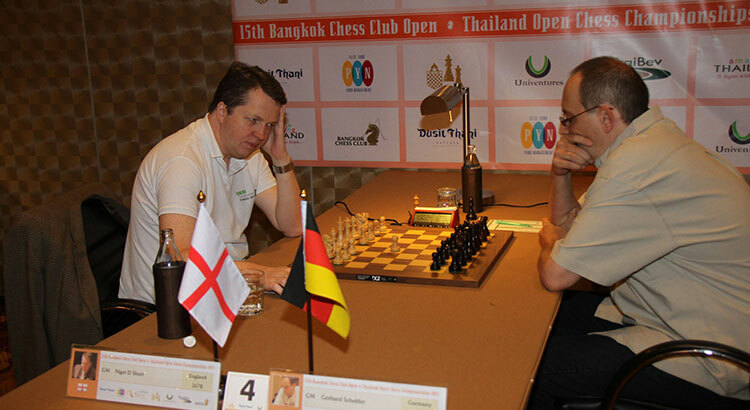 On Thursday Short had few problems with Pattaya’s strongest player, Grandmaster Gerhard Schebler. Only one Thai player remained in contention for the top prizes, Wisuwat Teerapabpaisit staying within a point of the leaders thanks to a fine sacrificial attack against Chinese talent Wang Jiaqi. Of the Thai female players, Ruja Phitchayarom – seeded 187th from 194 players in the main event – continued her rise towards mid-field with a draw against a player ranked 62 places above her. Phitchayarom is now only half a point behind Thai stars such as Warot Kananub and Uaychai Kongsee. The Thai Open, which continues until April 19, is organised by the Bangkok Chess Club. 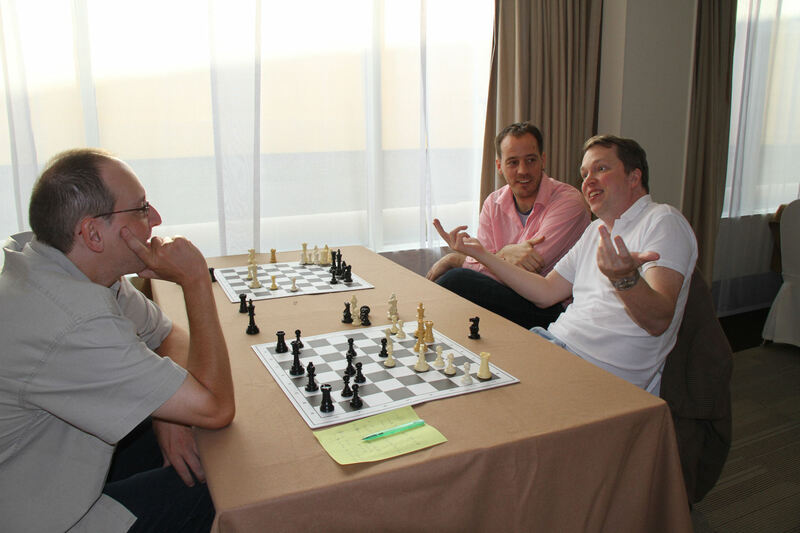 The 2015 edition features 299 players from 42 countries in two divisions, with a first prize of 100,000 Baht.